Guardianship and Options: Our adult advocates also partner with DDRC to present Guardianship and Options, a training that helps families and caregivers understand the many aspects of and alternatives to guardianship as it affects adults with intellectual and developmental disabilities. Life After High School: The Life After High School dedicated website helps families and high school students prepare for the student’s transition from high school into community life. 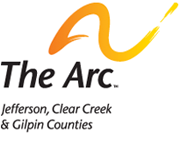 This website is presented in collaboration with Jefferson County Public Schools and the Developmental Disabilities Resource Center (DDRC). Mobilizing Families: Started in 1991, Mobilizing Families is a six-week training series that teaches families of young children with disabilities how to be strong and knowledgeable advocates for their children. To learn more about each topic, please click on the links above. For registration information or questions, please call (303) 232-1338.